Aluminum Oxide Abrasive. Tough and durable, this stuff will last a while. 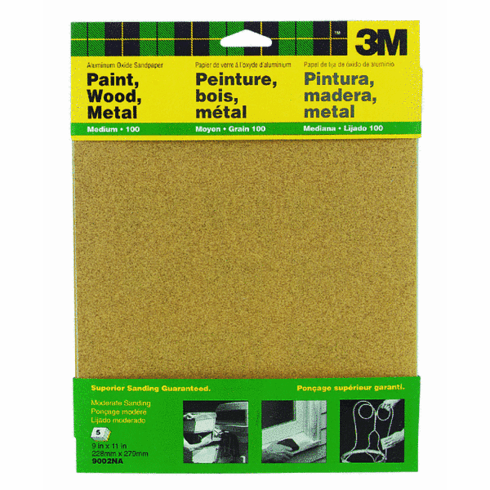 Use it to sand wood, paint, metal, and plastic. It also works really well on fiberglass and drywall. 9x11" sheets. Medium Grit. 5 per Pack.